Thursday night, students rushed to fill seats under the main stage tent at Midway. Once every seat was taken, those in the crowd unable to find a folding chair lined the edges of the tent to peer at the stage. 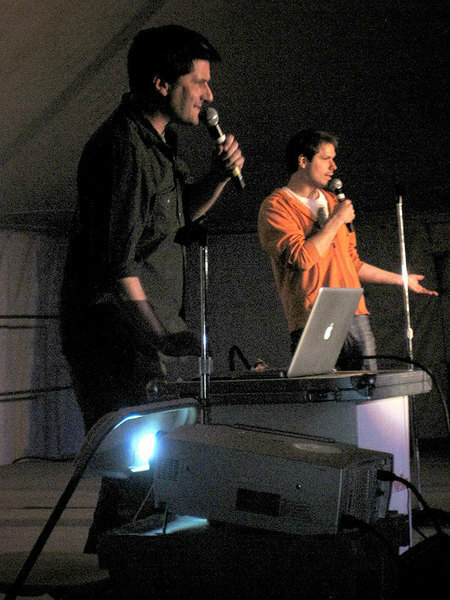 Munching on fried Oreos and clumps of funnel cake, the audience settled into their seats and poised their cell phone cameras in preparation for the appearance of Michael Ian Black and Michael Showalter and their comedy act. Surprisingly, a fair amount of education came before the laughs. Black and Showalter entered the stage amid cheers, and began imparting their vast knowledge about the history of Carnegie Mellon. “You know, the original name was Andrew Carnegie’s Honeydew Mellon,” one of the comedians informed the crowd. Aside from their knowledge of the agricultural roots of our university, they seemed to have done their research on the traditions of Carnival as well. Black shared his ideas for a booth theme. “Trench warfare, the Irish Potato Famine... what would you do in your booth? Starve?” he asked. The act soon turned away from Carnegie Mellon themes to disappointing Halloween costumes, holiday reindeer sweaters, and games of Jeopardy! and Scrabble. Several awkward topics led to equally awkward silences and nervous chuckles from the audience, but for the most part, the comedians’ humor seemed to hit its mark. Black and Showalter’s unique style of comedy seems to have a selective fan base: Either you got it and laughed your head off or you sat in confused silence. Judging from the noise level of the laughter throughout the show, those who found the pair hilarious made up most of the audience. Many of those present were fans of their show on Comedy Central and Stella, as well as Black’s work in VH1’s I Love The… series. 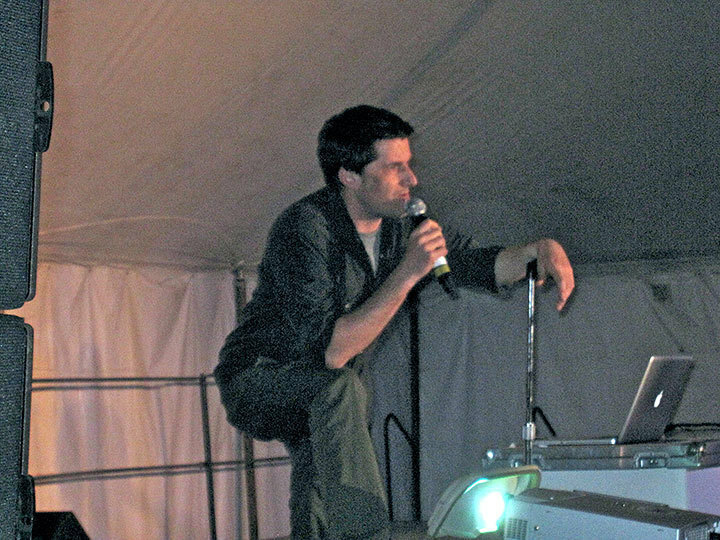 Though Black and Showalter may not have found a new fan in every member of the audience, by request of the crowd they continued their act past its closing time by improvising dramatic movie scenes to random songs on Showalter’s iTunes album. The show ended, as it began, on the subject of Carnival.